Airbus Helicopters’ updated Model 225–the 225e–powered by Turbomeca Makila 2B engines, will be designed primarily for offshore missions, offering extended-range, increased payload and fuel capacity. Airbus Helicopters is making its public debut in China this week for the first time since the company formerly known as Eurocopter was renamed as part of a wider restructuring that has seen other parts of its EADS parent group channel the marketing power of the Airbus brand. Airbus airliners have sold well here in the People’s Republic, but then so have the “Eurocopter” rotorcraft, which still lay a strong claim to being the market leader in China. In February, the company unveiled plans for two new variants of existing aircraft, the 225e and the AS322 C1e, and gave an update of development efforts on the X4 medium twin, now slated for first flight in 2015. The 225e is an extended-range heavy helicopter variant designed primarily for the offshore market. It features new Turbomeca Makila 2B engines, an improved passenger cabin and increased payload and fuel capacity. The 225e will have a range of 300 nm (555 km) with 10 passengers. Certification is anticipated in 2015. 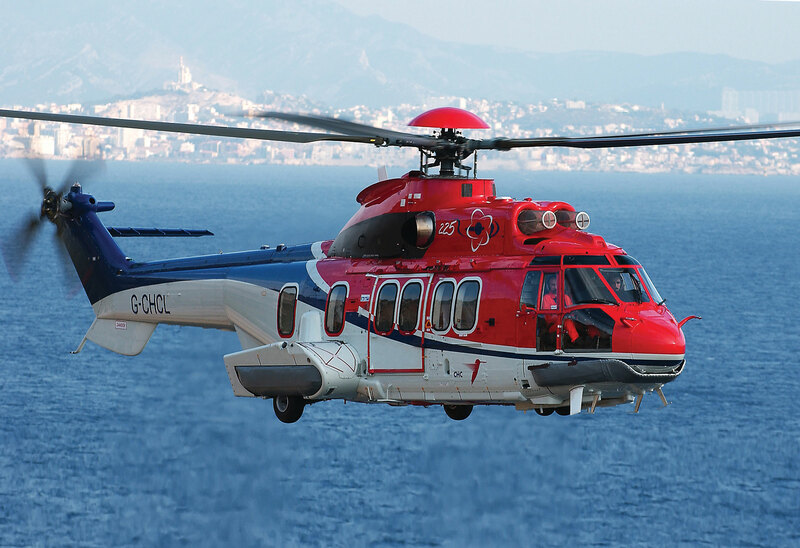 The AS332C1e is a utility variant of the Super Puma designed for missions in high/hot environments. It features the four-axis autopilot and automatic flight control systems from the EC225. X4 development work to date includes running the new quiet technology, increased fuel efficiency main rotor blades for 150 hours, qualifying the Pratt & Whitney Canada and Turbomeca engines–customers will have a choice as they currently do on the Model 135–and fabricating the first all-composite fuselage structure. First flight is expected in 2015. While in 2013 Airbus booked orders for only five of its new EC175 medium helicopter, a model aimed primarily at the red-hot offshore energy market, Airbus Helicopters CEO Guillaume Faury said he expects sales prospects for that helicopter to improve now that European certification has been received and with U.S. FAA approval anticipated “within the next few months.” Faury said Airbus has a “full support package” in place to support EC175 customer operations. Overall, Airbus posted revenues of $8.33 billion in 2013, delivering 497 helicopters worldwide, up slightly from 475 in 2012. Here in China, the group has a manufacturing partnership through its Eurocopter China joint venture with Aviation Industries of China. At a press conference in February Faury said that Airbus Helicopters is launching a new campaign to boost its customer support standards, which he admitted have not been acceptable. “We decided very quickly to spend tens of millions of dollars…to increase our supply of parts” and to focus on reducing response times to customer requests, Faury told journalists. Airbus is also focusing on making web-based customer service portals easier to use. Faury added that the renewed focus on customer service is part of a larger strategy to increase product quality and safety across the board, beginning with initiatives to install flight data and video recorders in its smaller helicopters as standard equipment and to fit cockpit voice recorders in its medium and heavy helicopters.